Minonk's newest park is the New Millennia Park located at the north edge of Minonk on the curve. The park contains a shelter and numerous recreation facilities. 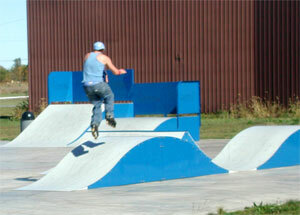 Some of the unique features are a skateboard park and an inline hockey rink. In addition, there is a soccer field, walking and jogging paths, playground equipment, and excercise stations. 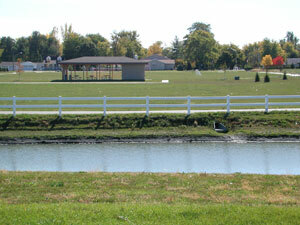 The park is landscaped with new trees and a retention pond. The park is the potential site for a new community center. Minonk's New Millennia park serves as a beautiful entrance to the city. 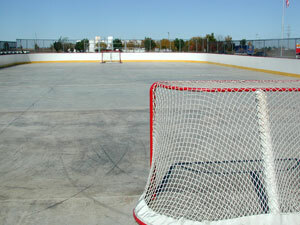 An inline hockey rink can be used in both the summer and the winter. Minonk is one of the few communities to have an inline hockey rink. 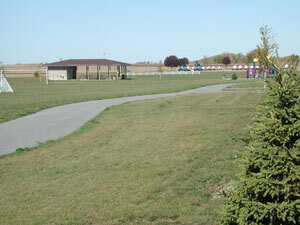 A walking and jogging path surrounds the entire park. A shelter with restrooms is in the center of the park. The skateboard park draws youngsters from all over to try their skills. 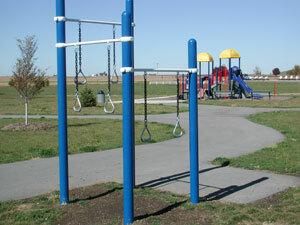 Excercise stations are located throughout the park. The latest in playground equipment is available for children.